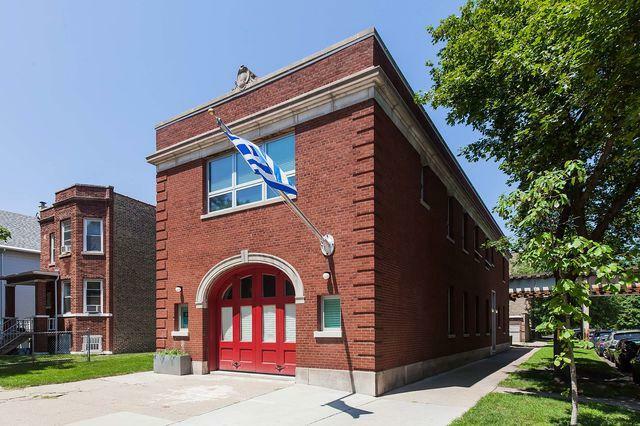 A stunning conversion of a vintage Chicago Firehouse & 2017 AIA Architecture Award winner. 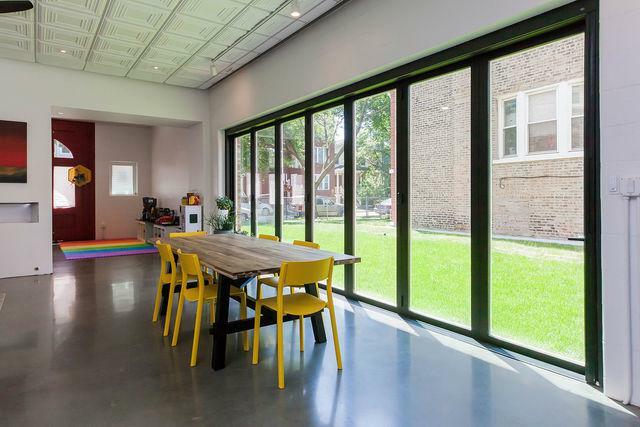 This Lincoln Square home on an oversized lot is designed w/ a mix of refurbished originals like the front swing doors & a hose room turned foyer & today's high-end finishes & systems. 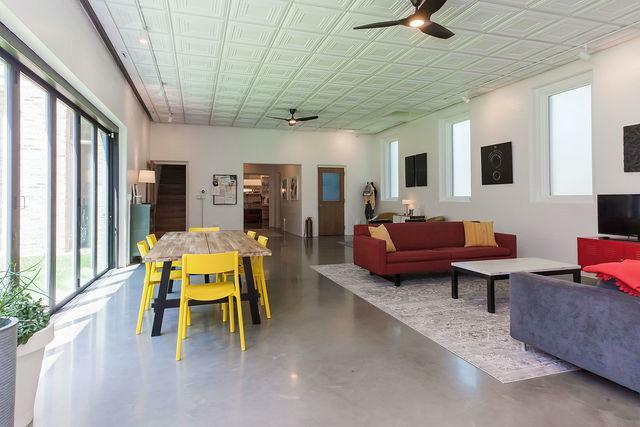 This wide-open layout features radiant-heated polished concrete floors, 10.5ft ceilings & walnut stairs & doors throughout. 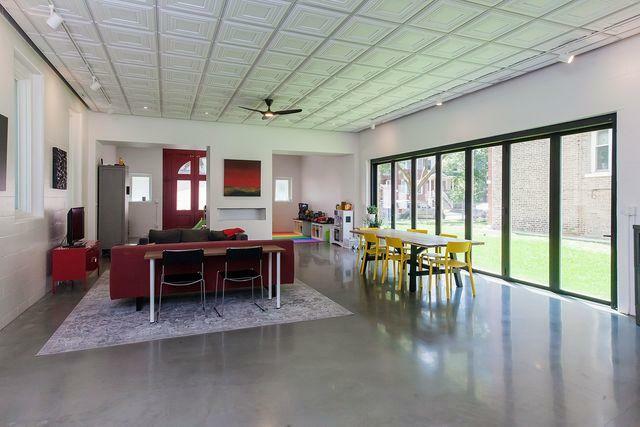 The 1st floor features a massive living & dining rm w/ 20' folding door to the side yard, a separate family rm, bonus rm addition & an awesome chef's kitchen. The eat-in kitchen includes a 60" red Viking range, stainless steel cabinets, white quartz counters & a butler counter & pantry. The 2nd level features 4 bedrooms, a large sitting area, laundry rm & beautifully designed baths. The master suite has an en-suite office, large bath & 2 walk-in closets. Triple-pane windows throughout. Central air. 3-car covered parking. Great location. Click on the virtual tour for an interactive floorplan.